OCDOBG stuck me when I was in HK last week. That is Obsessive Compulsive Disorder Of Buying Gadgets, This time I have picked up the biggest possible thing that can still be carried inside the luggage bags. A 19inch widescreen lcd monitor. 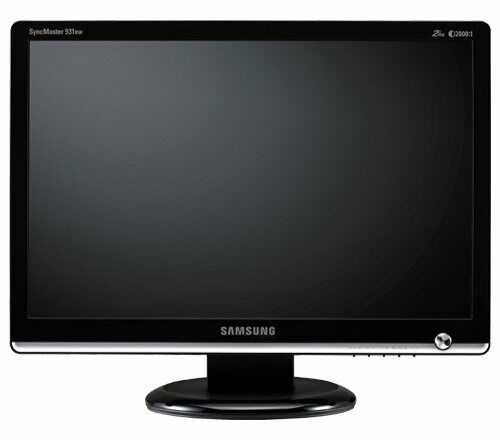 The Samsung 931bw. I have been thinking about upgrading my old 15 inch samtron to something pleasent for a while now, After doing the preliminary research I have shortlisted both Dell and Acer 19inch versions. But getting either of them in HK proved to be next to impossible given my short stay and other constraints. When I walked in to Fortress (an IT / Gadget / Electronics retail chain in HK) to findout if they stock Acer, I bumped across this samsung black beauty. I couldnt resist myself. So I went back and did some research on this one and it seemed like a good monitor. The price is also not steep at 250 USD. So I have purchased in the very next day. Now the only thing still around from my original computer purchased in 2000 is a TVS gold key board. That one is a tough choice to replace. PS: Images are from Samsung website.